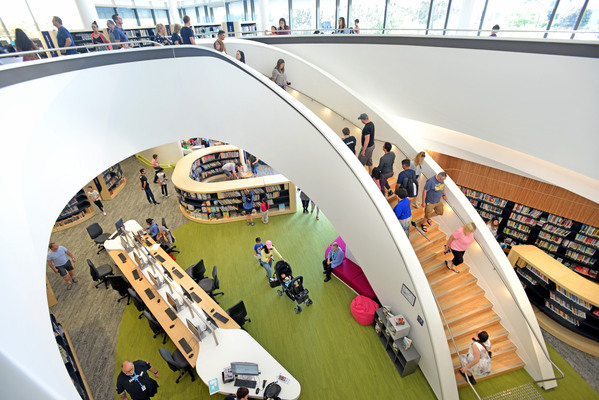 Bunjil Place Library has taken out top honours at the 2019 Australian Library and Information Association (ALIA) Design Awards on Thursday 14 March. Representatives from the City of Casey and Casey Cardinia Libraries (CCL) were thrilled when the Library was awarded the ALIA Members’ Choice Library Design Award and acknowledged as an honourable finalist in the Public Library of the Year category. City of Casey Mayor Cr Amanda Stapledon said what a very deserving recipient Bunjil Place Library was of this award. “It’s an extremely big achievement for our prized library to be recognised at this national level and I am proud that we can offer this stunning facility to the Casey community,” the Mayor said. The Bunjil Place Library received glowing compliments from the judging panel, who described it as a ‘visually striking design with a dynamic interplay of different building materials’. The judges also added that its ‘superb timber grid shells and ribbons intersect powerfully with glass, resulting in a stunning building, constituting a community centrepiece and a vital asset’. CCL chief executive officer, Chris Buckingham was over the moon to accept the accolade at the awards ceremony in Brisbane. “This is a stunning endorsement of our beautiful library, and the people who work in it every day. The team at CCL have helped set a new national benchmark for library services,” he said. “More than 1,000 ALIA members voted in the poll and our library came out on top. “What makes this award even more special is the endorsement from our peers across Australia. “For many of the library professionals who voted, it was more than simply the aesthetic appeal of Bunjil Place Library, it was about their experience when they visited. 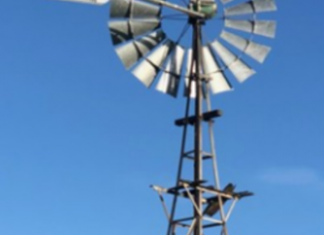 Casey Cardinia Libraries have branches in Cranbourne, Doveton, Emerald, Endeavour Hills, Hampton Park, Narre Warren (Bunjil Place) and Pakenham with a mobile service also visiting rural communities in the Cardinia Shire on a weekly basis.